Did you spot all the Easter Eggs? Set in 1984, "Stranger Things 2" is awash in funny and nostalgic references to the decade that brought us "Thriller," "Ghostbusters," and "E.T." 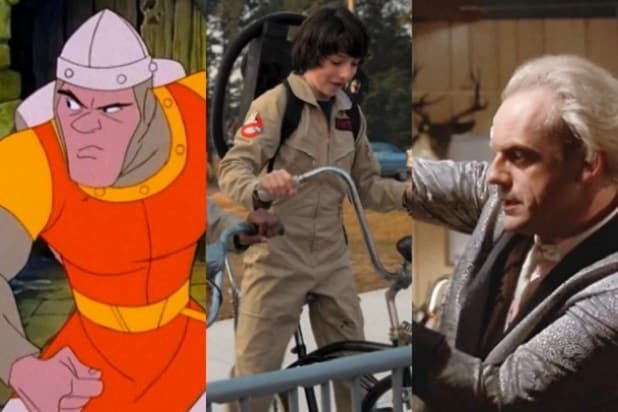 The show is so authentic to its period that it's easy to miss some of the more subtle Easter Eggs -- so here's a list of every '80s reference hidden within the show's second season. Warning: Spoilers! 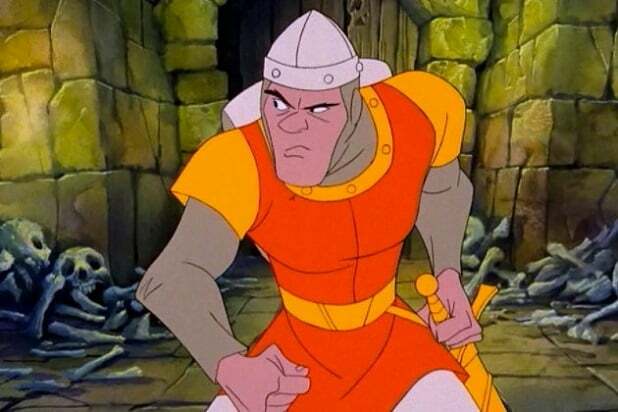 "Dragon's Lair" A gem in Hawkins' local arcade is "Dragon's Lair." The game features hand-drawn cartoon visuals, and requires players to hit the right controls to save protagonist Dirk the Daring from meeting his death. Check out the trailer for the game right here. "Dig Dug" and "Centipede" Dustin (Gaten Matarazzo) has the "Dig Dug" and "Centipede high scores in Hawkins, until Max (Sadie Sink) knocked him off the pedestal. 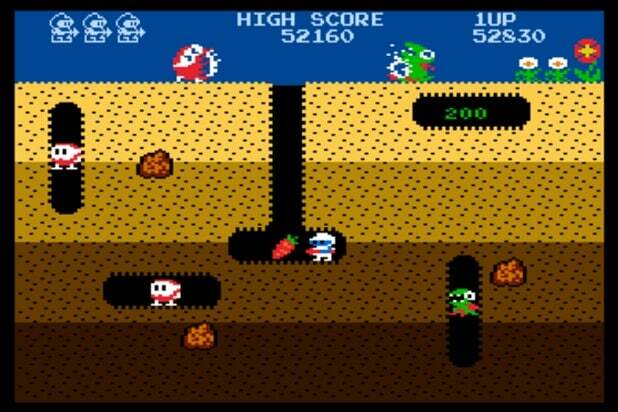 "Dig Dug" was released in 1982 and "Centipede" came out in 1980. "Mad Max" Max borrows the name of Mel Gibson's iconic character, and later Keith (Matty Cardarople) calls her "Road Warrior," a reference to the second "Mad Max" movie. The kids are still a year away from the most ridiculous film in the series, Tina Turner's "Mad Max: Beyond Thunderdome," though. "The Terminator" Passing through Hawkins, it's possible to catch a glimpse of a movie marquis showing James Cameron's killer robot action-horror title. In fact, when it's possible to see the marquis, the show is taking place on the movie's original release weekend of Oct. 26, 1984. "Baby Fae's Baboon Heart" Look closely at the Hawkins Post in Episode 1 and you'll see a reference to a real news 1984 news story. "Baby Fae" Beauclair was the first infant recipient of an organ transplant from another species -- in this case, a life-saving heart from a baboon. Family Video Back in the days of VHS tapes, long before the Internet, there were stores where a person could go and "rent" "video tapes" to watch on their home television sets. Blockbuster Video might be the more memorable of stores, but Family Video was a Midwest chain that still has stores in Indiana. Millennium Falcon toy Mike (Finn Wolfhard) spends some time in his basement in Season 1, reminiscing about Eleven (Millie Bobby Brown), who's been missing for almost a year. As he goes through his toys, he picks up his Kenner Millennium Falcon toy from 1979. It's the one that Eleven moved with her mind back in Season 1. Reagan Bush '84 and Mondale Ferraro '84 The 1984 presidential election is just a few days away at the start of "Stranger Things 2" -- election day is Nov. 6. Signs supporting both Ronald Reagan and Walter Mondale can be seen throughout Hawkins. Reese's Pieces In his interview with Dr. Owens (Paul Reiser), Will (Noah Schnapp) mentions that his favorite Halloween candy is Reese's Pieces. It's not a direct reference to "E.T.," but the timing is pretty close -- the movie was released in 1982 and sent the popularity of Reese's Pieces skyrocketing. "Mr. Mom" On movie night at the Byers' house, Bob (Sean Astin) has a great time watching this Michael Keaton comedy from 1983. The comedy was a breakout for Keaton and helped kickstart his career. Eleven's "E.T." ghost costume Cutting holes in a sheet to create a ghost costume is hardly a new idea, but Eleven appearing as a pint-sized ghost is a visual gag that's hard to separate from the same idea that appeared in "E.T." Marty McFly's camera Before the kids go trick-or-treating, Bob briefs Jonathan (Charlie Heaton) on the use of his video camera. It's the same model camera that Doc Brown gives to Marty McFly to record Doc's first Delorean time travel experiment in "Back to the Future." "Ghostbusters" costumes The kids' coordinated "Ghostbusters" outfits are pretty on-point, and have some fun do-it-yourself nods built in since the movie would have only been out a few months in 1984. For instance, it's possible to see the spray paint and foam that went into the construction of the proton packs, which is a great nod. Max's Michael Myers costume The guys aren't the only ones with movie reference costumes. Max goes trick-or-treating dressed as villain Michael Myers from John Carpenter's 1978 slasher movie "Halloween." By 1984, when "Stranger Things 2" is set, there had been three movies in the "Halloween" franchise. "Totally tubular!" Lucas (Caleb McLaughlin) and Dustin (Gaten Matarazzo) joke with Max, asking her for the proper pronunciation of the phrase "totally tubular." This is a reference to Max being from California, and therefore an authority on "surfer" and "Valley girl" speak that became popular from movies and Frank Zappa's 1982 song "Valley Girl." Jason Voorhees costume Speaking of slashers on Halloween, one of the bigger kids who torments Will is dressed as "Friday the 13th" killer Jason Voorhees. The series was on its fourth film by Halloween of 1984. McDonald's Quarter Pounder and Oreo's ads Flipping through the channels in Hawkins kicks up a few period-accurate commercials. One McDonald's ad flashing across the TV at the cabin of Chief Hopper (David Harbour) includes the old tagline, "Did somebody say bacon? ", while an Oreo's ad explains the benefits of cookie-dunking. The "Poltergeist" TV It's impossible to see a creepy, static-covered TV with a kid's silhouette in front of it and not think of 1982's "Poltergeist." Lucas' E.T. and He-Man toys Lucas (and the other kids) has a bunch of period-accurate toys that '80s kids loved. Among the ones you can spot on Lucas' shelf are an E.T. doll and a He-Man figure -- one that his sister, Erica, later uses for her own games. "Family Feud" with Richard Dawson Game show "Family Feud" first kicked off in 1976 and was a pretty big deal on TV. Richard Dawson was the original host of the show, and can be heard on a Hawkins TV running the game during "Stranger Things 2." Dawson was well-known enough as a game show host that he played the evil host of "The Running Man" in the 1987 Arnold Schwarzenegger movie of the same name. Walkman When Nancy spots someone wearing a Walkman, she gets the idea for her plan to get justice for Barb. Sony's iconic portable tape player was first introduced in 1979 and was extremely popular by 1984. Dustin's "E.T" baloney trail A child leading a strange creature using a long trail of food? It's hard not to see more shades of "E.T." in Dustin's attempt to get D'art in the storm cellar using baloney slices. They're not Reese's Pieces, but the whole situation is visually and thematically similar. Farrah Fawcett Hairspray After a year of the Internet making Steve Harrington hair jokes, we finally know the secret to his awesome '80s look. Steve (Joe Keery) explains to Dustin how he gets his hair to do that thing -- Farrah Fawcett hairspray combined with Faberge Organics shampoo and conditioner. All three were real products in the '80s although they're not made anymore. Bummer. Bob goes "Goonies" Midway through "Stranger Things 2," Joyce (Winona Ryder) enlists Bob to help her decipher Will's drawings. When Mike explains that the goal is to "Find the X," Bob asks, "What's at the X, pirate treasure?" As a kid Sean Astin, who plays Bob, hunted pirate treasure with his friends in the 1985 Richard Donner-directed movie "The Goonies." Jonathan and Nancy as Indy and Willy After Nancy and Jonathan bring their information to Murray (Brett Gelman), they stay the night in separate rooms. The scene in which they talk to themselves about their relationship plays almost exactly like a similar scene with Harrison Ford and Kate Capshaw in the 1984 movie "Indiana Jones and the Temple of Doom." Hopper goes back for his Indy hat Pop culture is full of references of Indiana Jones going back for his iconic hat mid-escape in "Temple of Doom." It's Hopper who goes back for his hat in "Stranger Things 2," as he escapes the Upside Down tunnels beneath Hawkins. A callback to "Aliens" Toward the end of "Stranger Things 2," Dr. Owens sends a group of soldiers down into the tunnels the vines leaking from the Upside Down are creating under Hawkins. The ensuing bit owes a lot to James Cameron's 1986 movie "Aliens," in which soldiers find themselves underground and overwhelmed by monstrous creatures. "(Luke) It's a trap!" At the same time the soldiers are in the tunnels, Mike realizes he needs to warn Dr. Owens about the danger the soldiers are in. He's subsequently held back by Marines while screaming about a trap -- a moment that looks and sounds a lot like Princess Leia's attempt to warn Luke Skywalker that he's walking into Darth Vader's trap in "The Empire Strikes Back" (1980). "Punky Brewster" You can catch a glimpse of the sitcom on a TV in one of the later episodes of "Stranger Things 2." "Punky Brewster" first aired in September 1984, and the episode shown has a few poignant elements that relate to the characters in the show, as well.